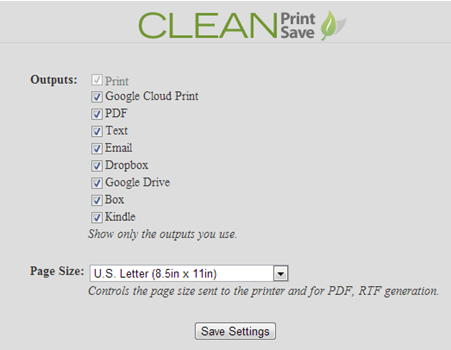 CleanPrint gives you the power to print or save only the content you want from a webpage. Add a note if you’d like. 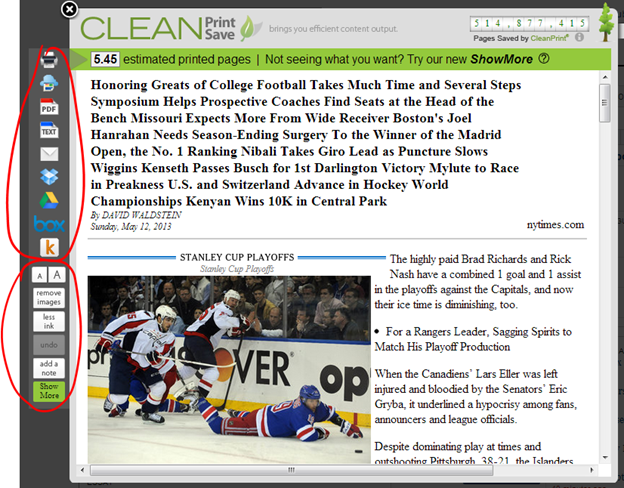 Add CleanPrint as an extension to your browser. What’s especially cool is that multi-page articles are automatically combined into one. With this NYTimes article, you can see the CleanPrint toolbar on the left. The top half gives you several places where you can print or save the webpage. You can choose which of these print/save options you’d like to display by making changes to the browser extension. In your browser, go to where you can see your extensions. 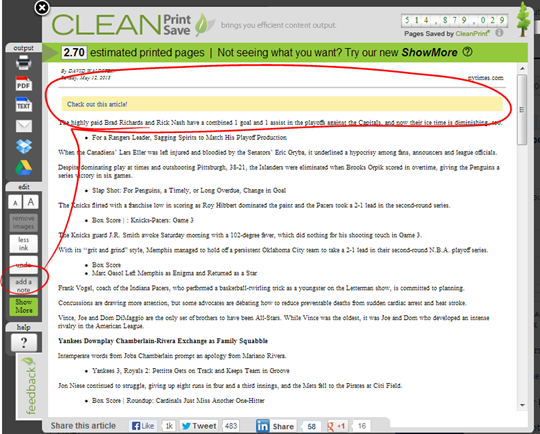 Look for the extension under “Print or PDF with CleanPrint”. Once you find it, select “options” to see this screen. But before printing or saving, I want to edit the page. There is a lot of content on this page I don’t want. 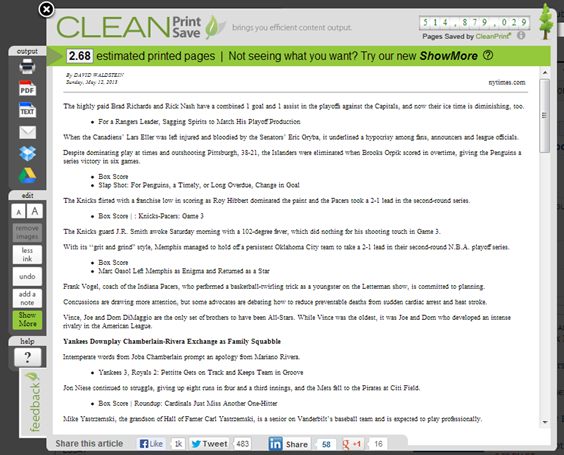 CleanPrint is also telling me that the page will print 5.45 pieces of paper. Let’s see about reducing the amount of paper I’ll need. The top of the page is all other headlines. I don’t want that. Mousing over it selects that area turning it green. Clicking on the green area makes it disappear. With that section gone, the new estimate is 5.25 pages. Let’s take a look at the bottom half of the CleanPrint toolbar. Clicking “remove images” removes images. And clicking the small A button reduces the font size. After clicking that button a few times, I’m down to 2.68 pages. Before saving or printing the page, I can add a note by clicking the “add a note” button. A note, at this writing, can only be added in this location in the page but it seems like a feature that could be expanded by allowing additional notes and an option to change the note’s color. Check out the final PDF. The “less ink” button grays the font so that, well, you use less ink when printing this document. 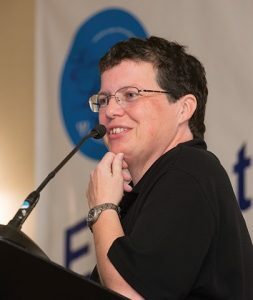 If you’re interested in this kind of service, also check out my blog post about PrintFriendly.